Joe Rey is the protagonist of my Paignton Noir series, which started with 2017’s SKULL MEAT, and continues this year with MEAT BUBBLES & OTHER STORIES (Near To The Knuckle) and REPETITION KILLS YOU (All Due Respect). He is a cut-price private investigator with a nasty side-line in muscle-for-hire work. 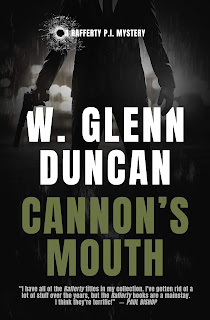 As the series progresses his investigative skills are honed, and his client list improves, but he never really loses his willingness to get his hands dirty for personal gain and his unwavering commitment to revenge. 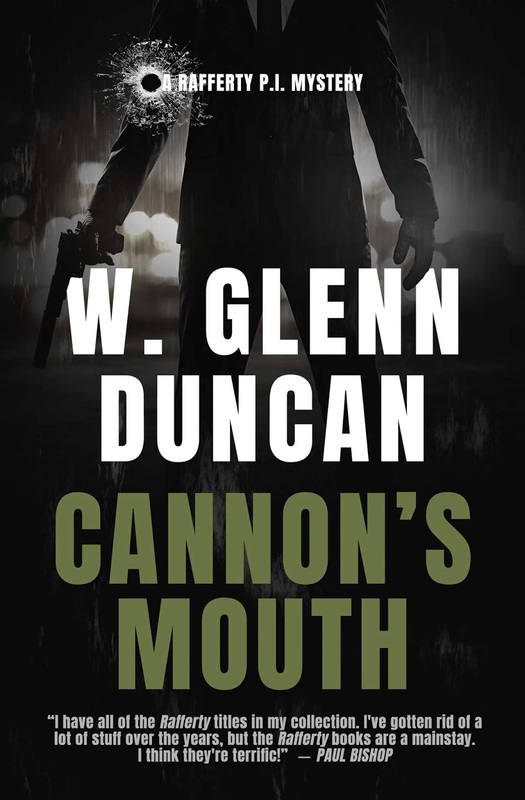 His influences are a mixture of anti-heroes, rogue cops and bareknuckle fighters, but a number of private eyes have also permeated his character. I’m sure they are all obvious to varying degrees, but that is for the readers to judge! 2. Burke (Andrew Vachss)The early Burke books were shocking, brutal tales which gripped me with their beyond-the-pale narratives about exploitation and degradation in 1980s New York. After reading a number of books featuring more conventional private investigators, coming face to face with the shadowy Burke was a real shock to the system. His survivalist tendencies set him apart from the crowd, and he is a man whose methods can come uncomfortably close to those of the ‘freaks’ he is trailing. In some ways, Rey could be likened to a sloppier, less paranoid version of Burke, but that has never really been a conscious decision. I appreciate Burke’s moral code and his ‘Family of Choice’, but the shocking, transgressive cases that he takes on really showed me how dark noir could get. 3. Patrick Kenzie (Dennis Lehane)I really enjoyed the Kenzie and Gennaro books back when I first read them, and Ben Affleck’s 2007 film version of Gone Baby Gone was pretty damn impressive as well! Affleck’s brother Casey was brilliantly cast as Kenzie and excels in some of my favourite scenes in the book, perfectly capturing the character’s inner turmoil. While I have tried to steer clear of a brooding protagonist, I like the moral dilemmas that Lehane presents his characters with. Another element that I have embraced from time to time is the conscience-free tough guy sidekick, in the vein of Patrick’s buddy Bubba Rogowski. It may be a cliché, but sometimes you need to lean on a violent supporting character to get the job done, and Bubba is one of my favourite sidekicks! 4. Nick Stefanos (George Pelecanos)I read the Nick Stefanos books many years ago, and I was always struck by how much of himself the author had seemed to put into the character’s personality, while preserving that fictional angle. In an interview Pelecanos once admitted: “He is my alter ego. 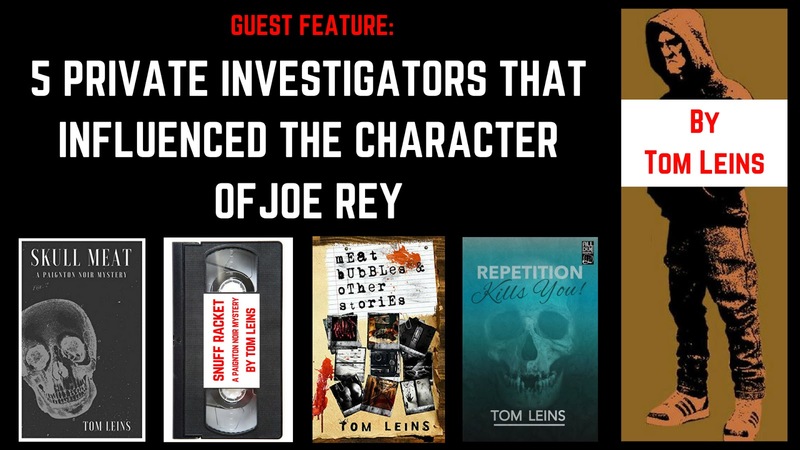 He is whatever age I am or was, depending on the period of the book.” I like that idea, and it is something that I have fooled around with when writing Joe Rey’s character, and filling in certain blanks in his personality. He is nothing like me, but I have no qualms about letting him share certain minor personality traits and features. Also, it is important that he ages in real-time, which is another theme that comes to the fore in future books! My fifth and final choice is probably the biggest curve-ball. I read very little in the way of supernatural fiction, but I really enjoyed this series. Joe Pitt is an unaffiliated ‘vampyre’, living in New York, carrying out assignments for the city’s various ‘clans’ in exchange for blood and freedom. Ultimately, it was Pitt’s relationship with the clans that captured my attention more than anything. Due to the awkward logistics of travelling between the Five Boroughs, the Clans tend to remain within the confines of their own stomping ground, while Pitt is free to drift between the different regions of the city. I found myself loosely applying this rule to the Paignton Noir-scape – partitioning up different parts of town along perceived criminal fault-lines. Rey has increasingly uncomfortable relationships with most of the town’s would-be kingpins, but he is similarly free to explore all corners of Paignton without fear of reprisal – for now! Tom Leins is a disgraced ex-film critic from Paignton, UK. His short stories have been published by the likes of Near to the Knuckle, Akashic Books, Shotgun Honey, Flash Fiction Offensive, Horror Sleaze Trash and Spelk Fiction. A pair of Paignton Noir novelettes, SKULL MEAT and SNUFF RACKET, are available via Amazon. MEAT BUBBLES & OTHER STORIES will be released by Near To The Knuckle on 2nd June 2018, and REPETITION KILLS YOU will be published by All Due Respect (an imprint of Down & Out Books) in September 2018.